Expanded Tech Tip now includes a downloadable one-page solutions guide. 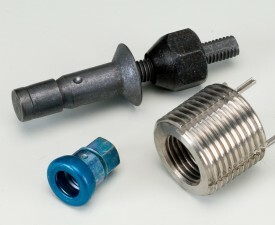 Atlantic Fasteners, the parent company of Atlantic Fasteners Aerospace, has produced an expanded version of its thread galling Tech Tip after website data showed it was one of the most frequently accessed pages during the previous year. 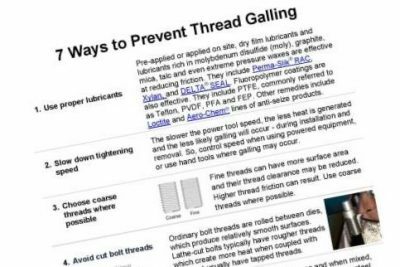 It now includes, pictures, more product links and a 7 Ways to Prevent Thread Galling solutions guide. According to Marketing Manager, Tony Peterson, the thread galling topic is popular since it’s confusing. “Our goal in researching and expanding the content was to provide a thorough explanation in simple layman’s terms. 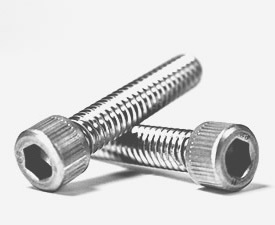 We’ve avoided technical fastener language, so readers don’t have to be a fastener engineer to understand it,” said Peterson. He said his team conducted thorough research, produced a draft, and then contacted a recognized industry expert to review it for accuracy and clarity. Next they took the seven remedies posted on the web and produced a one-page solutions guide version in PDF format that can be downloaded. “That way our customers can print it for easy reference,” noted Peterson.